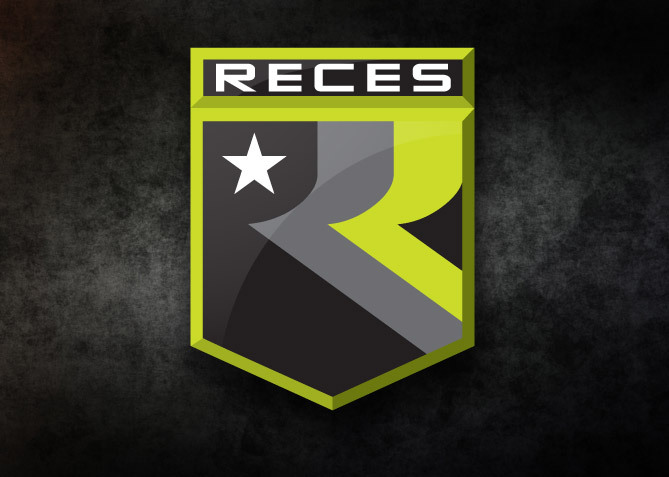 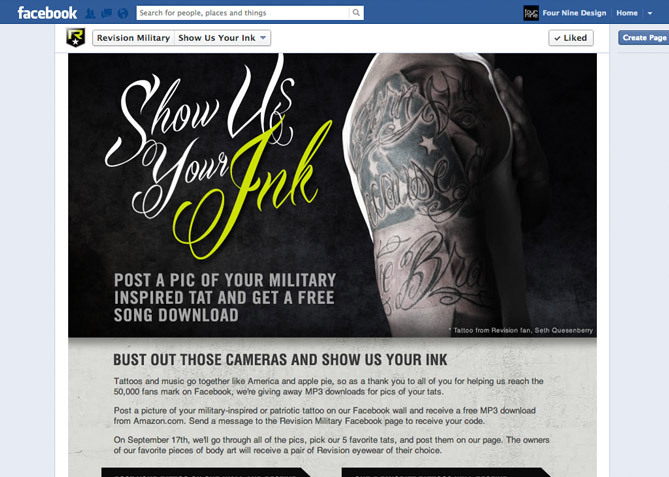 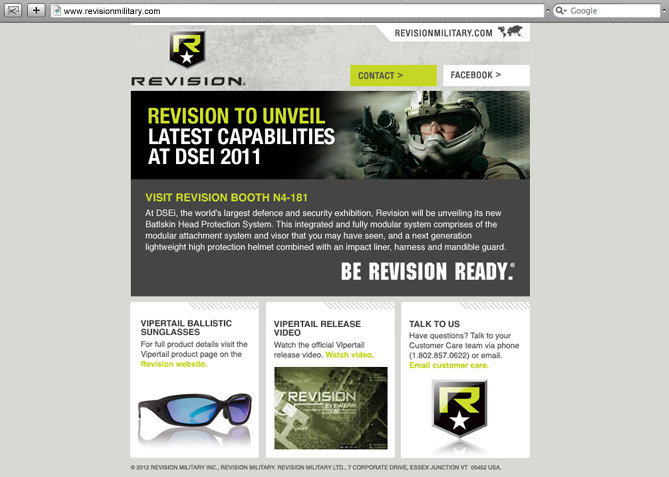 Known for creating revolutionary product for the world's elite soldiers, Revision Military has given us the nod to provide creative services on a number of levels — some more secret than others. 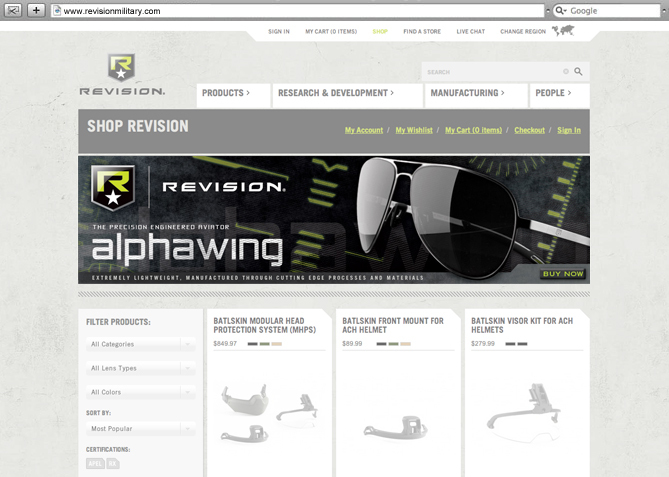 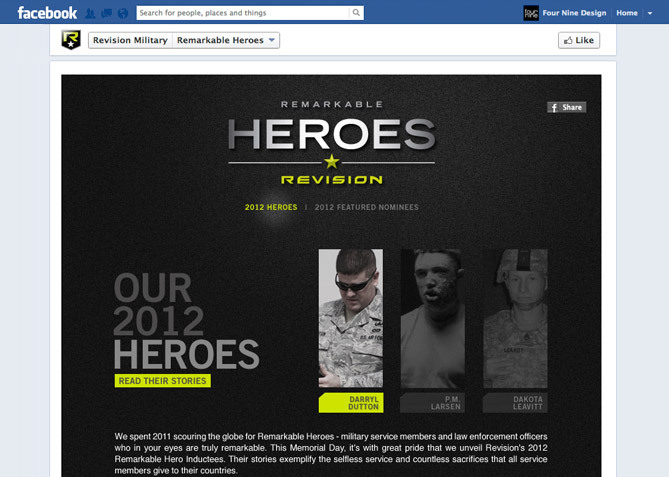 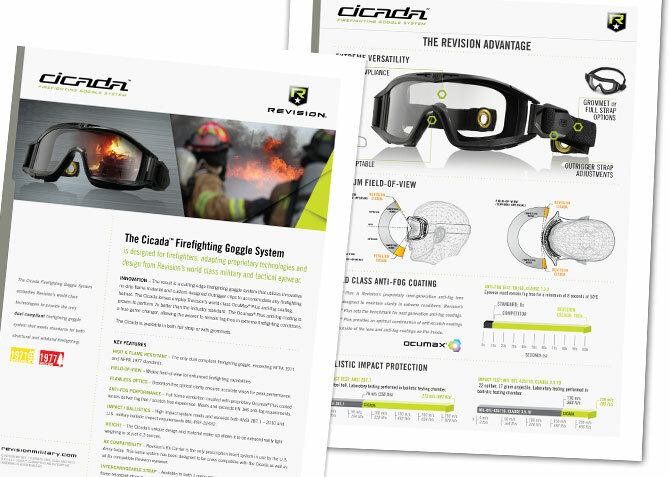 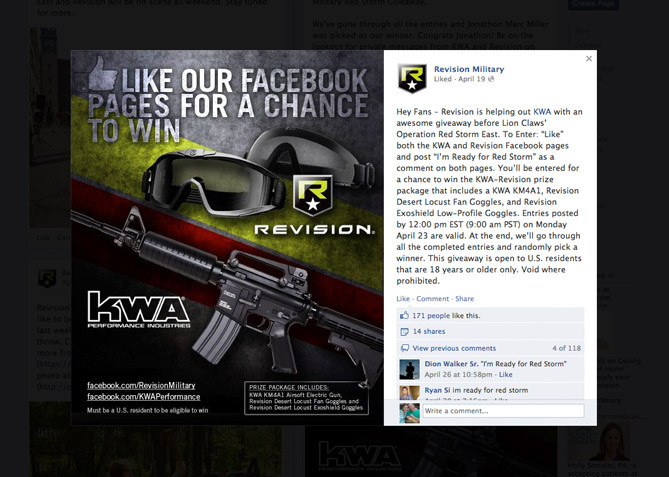 Revision develops purpose-built protective equipment for military, law enforcement and tactical clients worldwide. 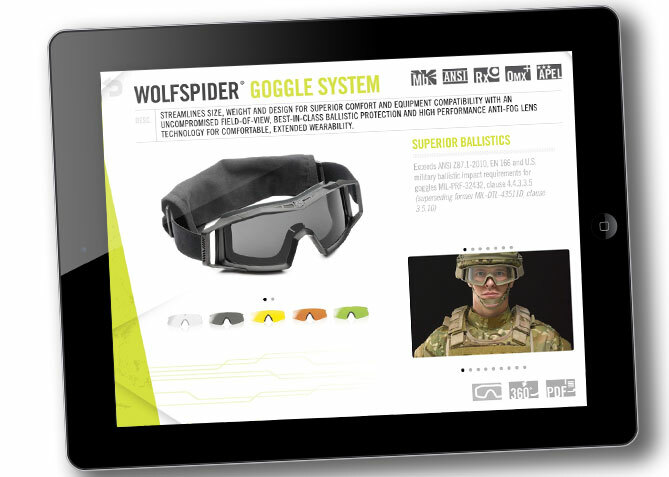 Building high-performance protective solutions for the evolving needs of the modern soldier, their products deliver the highest standards of protection, optical clarity, durability, compatibility and comfort.